Hand painted watercolor giraffe. 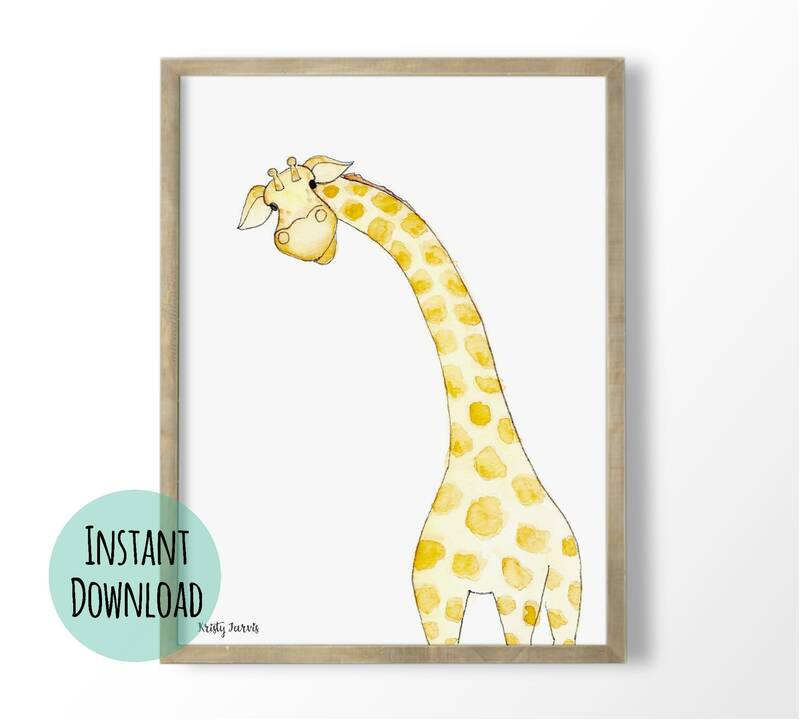 Art print for a gender neutral safari nursery. Great for a boy or girl nursery or minimalist kid's room.